Will Sony NGP be Revolutionary ? Will Sony NGP be Revolutionary? Sony has come up with a new revolutionary Play station sequel on their most successful and popular handheld gaming console PSP (Play Station Portable).The Sony PSP Sequel is called the Sony NGP (Next Generation Portable) but I say it’s the Sony PSP2. The venue was Tokyo where the first glimpse of Sony NGP was officially launched. They named it as Sony NGP which was actually abbreviated as Next Generation Portable. The small event was just amazing with the new Sony NGP product announcement. The main key points were revolutionary user interface, Touch Screen, 3G, GPRS receiver, motion sensor, cool navigational buttons and Social connectivity. The Sony NGP looks like a real challenge to its competitors Apple and Nintendo. Sony NGP has also the front and back cameras and gyroscopic controls which is really awesome. It also has a touch panel at the backside of the panel. The software titles will be allowed to store on a flash memory based memory card. It has a ARM CORTEX A9 Quad Core Processor. It has High Resolution of 960 x 544 with 5 inch OLED touch screen. It has 3G + WIFI. Front and Rear Touch Pads. Front and Back Dual Cam. Accelerator motion sensor as in PSP. New Media Technology (earlier it was UMD). Oh God! What all they didn’t put in there? It has everything in it. It might be expensive, But it’s worth buying it. I wonder how the designers have made a touch screen at the backside panel of the PSP NGP. It’s really cool looking at the PSP Next Generation Portable. Officially it’s not PS2 yet. But they coded it as NGP and most probably they are going to release this master piece at the end of the year 2011. I am excited to try this revolutionary gadget. Along with Sony NGP, The Sony Company has also announced the ‘Suite’ application which can be used for the older phones and computers running Google android operating systems. 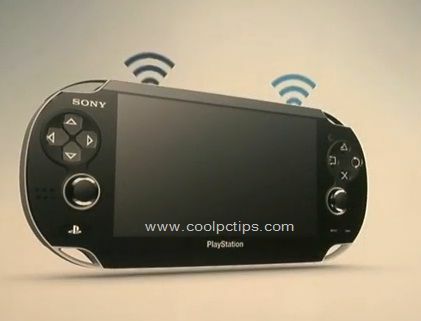 I bet Sony NGP will be a revolutionary Gaming console in 2011. This one really terrific.. Its just one step less than a PC and one or more steps more than a mobile..! Iam damn sure, i am gonna buy this…! Bro thanks for sharing this with us…! yes even i am waiting for the gadget to be launched in india 😀 would be really great if they do so by mid 2011 . Cool Gadget ! a must own product for gamers… Wish Sony takes Also introduces sim faciility to use it as a Phone as well! The sky is always the limit for anything. This device has touched the sky.The features are awesome. The use of the ARM processor make it more reliable. Ease to code because ARM processors support java module in built.Less power consumption because of the ARM processor. I wish it runs with 4G technology . Gaming in such a device is like the best and the best. I used sony psp and i love it. I really want to play games in such a thing. The device has features that make its circuitary very complex already. Adding a SIM(subscriber identity module) increases it. I can not say it is impossible. It already has a transmitter , so adding few elements and circuits will do the job but, it is a real tuff job. By doing so the device size has to go up and the power consumption. U mst b knowing psp go came to india in jan 2011.